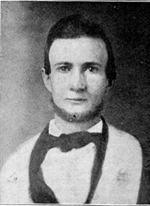 Foster returned to Murfreesboro and began promoting the KGC through his newspaper and organizing KGC "castles" at Murfreesboro and nearby communities. Bickley held a KGC convention at Raleigh in May and addressed an audience at Murfreesboro in July. A Citizen editorial warned that acquisition by the federal government of Cuba, Nicaragua, or parts of Mexico by force, purchase, or other means would be accompanied by abolitionist colonization that would exclude slavery from such territories, as in the case of Kansas. The South, therefore, should support only territorial acquisitions that occurred outside federal authority. Like Texas, only these could be reliably settled as slave regions and presented as such for annexation. During much of 1860, newspapers devoted considerable attention to KGC preparations in Texas for an invasion of Mexico. Some KGC members and groups traveled to Mexico that summer, but it soon became evident that Bickley's claims were much overstated. The confidence of his followers had been seriously eroded before Abraham Lincoln's election as president in November 1860 diverted the nation's attention to the secession crisis. During the Civil War, Gatling gun inventor Richard J. Gatling, a native of Murfreesboro, was suspected of participation in the KGC, but the allegation appears to have been unfounded. Ollinger Crenshaw, "The Knights of the Golden Circle: The Career of George Bickley," American Historical Review 47 (1941). Frank L. Klement, Dark Lanterns: Secret Political Societies, Conspiracies, and Treason Trials in the Civil War (1984). "The origins of the Knights of the Golden Circle can be traced to Cincinnati con man George Bickley." Image courtesy of the University of Cincinnati. Available from http://www.uc.edu/news/NR.aspx?id=13035 (accessed August 1, 2012). Did the KGC bury large amounts of treasure? You bet! 5,000 gold coins unearthed by two boys in Baltimore have now been linked to the Knights of the Golden Circle. You can read all about it in the new book Knights' Gold.